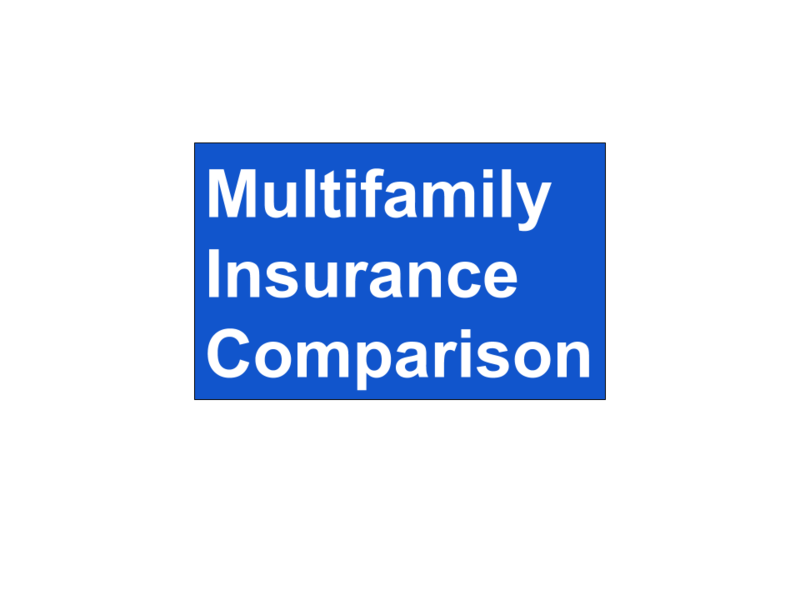 Multifamily success is the dream for many real estate investors. Jake Stenziano & Gino Barbaro, the drug rep & restaurateur, better known as Jake & Gino are proof that hard work and the right mindset can propel you to amazing success in multifamily real estate. 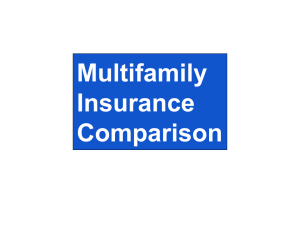 In 2013, the investor team had almost given up the dream of owning a multifamily property. Then their persistence paid off. They landed their first 25 unit multifamily property. It was rough, but they were finally in the game. In just a little over 4 years, Jake & Gino’s real estate investment strategy of mom & pop multifamily has led to an impressive 850 units in Knoxville, TN. The following are some of the keys to their success. Mindset: It all starts in your mind. If you want your circumstances to change, the easiest thing to change is your mindset. Once you change your mind, you need to find like minded people, because the herd will try and bring you back to the pack. Education: Take some time and invest in yourself. Learn the lingo, talk to people, and get to know how others are doing it. Market: You don’t have to be in a primary market to grow in real estate. Real estate is everywhere. What is important is to know the basics in the market. Is there job growth? Are there people moving to the area? Is there more demand than supply in the housing market? These are keys in any marketplace. Hard work: If you are willing to work hard and go through some pain for a few years, you will reap the rewards that others only dream of. From there it’s Buy Right, Finance Right, Manage Right and repeat! Know the Seller’s story and you have the keys win with any real estate investment strategy. Whitney Nicely is a real estate investor from East Tennessee. Her real estate investing strategy focuses on connecting with sellers hearts and minds. This takes time, but once connected, the sellers want to sell to Whitney because they know her and she knows them. Instead of grinding through thousands of calls, this southern gal has fun getting to know the sellers and what they are about. She also tells her story. She leverages Facebook to let all her contacts know what she is doing and what she is about. She is a real estate investors! The story is where you will find the seller’s secrets. The answers that don’t show up on a spreadsheet, what they want and what they need from the sale. When you start with the answers to their problem, it’s a whole lot easier to reach a creative a solution that meets yours and the sellers goals. Don’t need the cash and would consider owner financing. secrets to all of the sellers wants and concerns. Are health is poor, and they can no longer care for the property. Inherited the property and want nothing to do with it. Are sick and tired of toilets and tenants and they just want out NOW! Get other offers, but they want to sell to you. So remember, as you race around to find the property, don’t forget to take the time to get to know the story of the seller and share your story. The more you connect, the more memorable you are to the seller. And, you might just get a deal. Tom Cafarella is a CPA turned real estate investor. What separates him from his competition is marketing. After he got fired from his CPA job because he was spending all of his time learning about real estate, he started selling single family homes. He had some success, but realized he wanted to be an investor. He recognized to be a profitable investor, you have to start with a purchase price that allows you to rehab, rent and refinance to a number that is agreeable with the bank. Meaning, you have to buy at a discount. Marketing is the key to getting in front of owners who aren’t known to the marketplace. They don’t realize they want to sell. Then something happens, and because of your marketing, you are top of mind to solve their need to sell. Tom started a real estate brokerage that has 200 agents. They use a marketing program that involves, mailers, calls and appointments. The mailings are sent out monthly and go to specific property owners with properties fit their sweet spot. This sweet spot includes: area of town, length of time they have owned the property, estimated remaining balance on their mortgage and age of the owner. Mailings are followed with calls to cell phones. Their system allows an agent to call as many as 500 – 700 names per day depending on how many conversations they have. The purpose of the call is to set an appointment. At the appointment, they have developed a set of questions that help identify if the seller is a prospect for selling at a discount for Tom’s investment team, or if they are a retail listing option for the agent. Either way, the agent has a potential sale. For Tom, he has a team of 200 agents hunting for investment opportunities. Warren Buffett, the CEO of Berkshire Hathaway, made his considerable fortune investing in the stock market. Last year Fortune magazine ranked him as the third wealthiest person on the planet with a net worth approaching $80 billion. But unknown to most people are Mr. Buffett’s two small real estate investments that he made long ago that have amply rewarded him for his willingness to invest outside his area of expertise. And far more important than their profitability were the five common sense principles he learned from his real estate investments. And before I get into what those were let me give you a brief explanation of his real estate investments. In 1986, he purchased a 400-acre farm located outside of Omaha, Nebraska. He purchased the farm from the Federal Deposit Insurance Corporation (FDIC) who had inherited it from a bank that failed. Mr. Buffett admits that he knows nothing about farming but he has a son who loves to farm so he turned the day-to-day operations over to him. Although Mr. Buffett admits his lack of farming acumen he could easily recognize that purchasing the farm was a good investment decision. As he said, “I needed no unusual knowledge or intelligence to conclude that the investment had no downside and potentially had substantial upside.” Three decades later, the farm has tripled its earnings and is now worth five times what he paid for it. In 1993, he purchased a retail property located adjacent to New York University that the Resolution Trust Corporation (RTC) was selling. A real estate bubble had popped and the RTC had been created to dispose of assets of failed savings institutions. His investment analysis was very rudimentary. The property had been poorly managed by the previous owner and then by the RTC. The vacancy at the property was well above the market’s vacancy rate for no apparent reason. The largest tenant’s rent was $5.00 per square foot compared to all the other tenants’ rent averaging $70.00 per square foot. He realized that when the current lease term expired for this tenant that the new rent on this space would improve the property’s cash flow dramatically. And like the time he purchased the farm, he realized that he needed to turn the management of the property over to an experienced property manager, which he did. Over a relatively short period of time, the new property manager was able to lease the vacant space and to raise to market the rent on building’s largest tenant. As a result, the property’s net cash flow tripled and annual distributions currently exceed 35 percent of his original investment. So those are Mr. Buffett’s two attempts at real estate investing. Both were highly successful. But as good as his results were the principles he learned were priceless. So what did Mr. Buffett learn from his two real estate investments? He learned five things that we as real estate investors should try to emulate. Notice that he bought both properties out of foreclosure when the real estate market was at the bottom of the cycle. “I will tell you how to become wealthy,” Mr. Buffett once said. “Be fearful when others are greedy. Be greedy when others are fearful.” When he bought these two properties most investors were out of the market, fearful that real estate wasn’t ever going to turn around. Mr. Buffett knew differently and acted upon it. You don’t have to be a real estate expert to achieve satisfactory investment returns. But you do need to turn over management of the property to someone who is well qualified to manage the property for you. You don’t need to do a sophisticated investment analysis to determine whether to purchase a property. Many times a common sense look at the property will do. Ask yourself, “What is holding this property back from operating well?” If you can answer this question and you’re confident that you can correct the problem, then buy the property.